Restricted by motives, after leaving the hospital, Van Gogh began a series of portraits. Six of them he created in Saint-Remy, they stand out as isolated yet impressive achievements of the art of portraiture. Three out of six – self-portraits. Others include the portraits of Trabuk, the patient, and the young peasant. On this self-portrait, on the bony head of Van Gogh, the signs of the last struggle are still vividly expressed. There are not only contrasting colors that make his face paler than usual; a light yellowish green color, undoubtedly gives an accurate description of his condition at that time. Here Van Gogh armed himself with the attributes of the artist, which is unusual for his self-portraits. 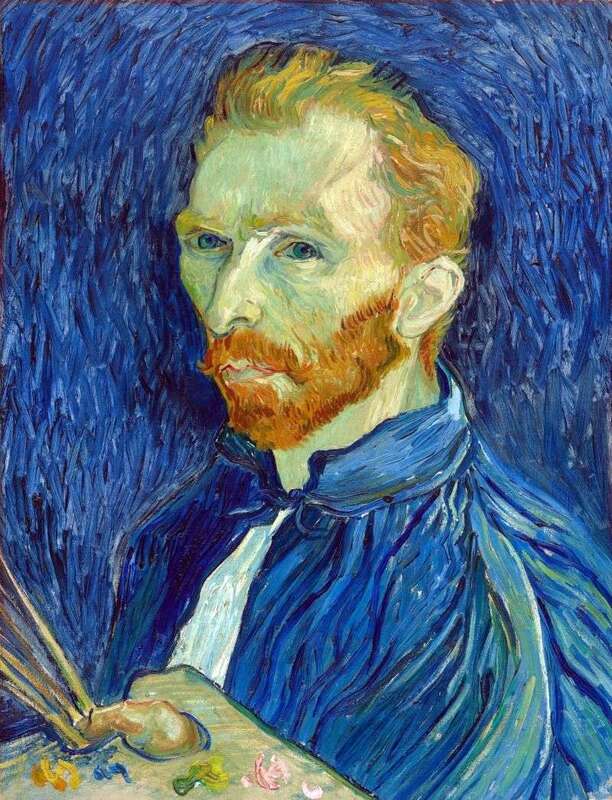 Description and meaning of the painting Self-portrait with a palette by Vincent Van Gogh.